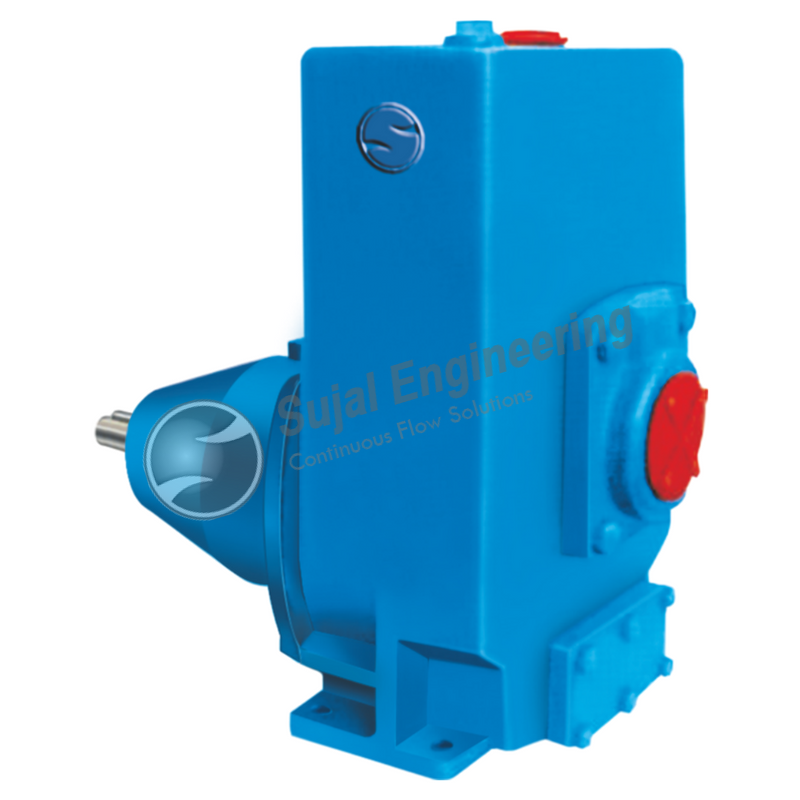 Self Priming Mud Pumps manufactured by Sujal Engineering is known by the SSPP Series in the market. Our self-priming mud pump is best industrial mud pump used to circulate the mud. It is a non clog and self-priming type. Mostly used in marine, industrial, civil, construction, public utilities, polluted liquid including solid, sewage, oil well drilling, waste handling, etc applications. We also manufacturer self-priming pumps with semi-open type impeller as per the requirement of the clients. It is the most suitable industrial pump for handling water and noncorrosive liquids. Self-priming mud pump is designed in such a way that it allows pumping out a certain amount of mud, dirt and suspended solids. Robust construction, only two moving parts. Better efficiency due to compact design. Quick priming of dirty water. Dynamically balance rotation parts ensure avoid minimum vibrations. We use heavy duty cast iron in casing. In stuffing box cast iron, deep gland box with graphite packing. Impeller, shaft sleeve in S.S. and bearing of top quality is also used. Construction sites and many other applications and industries. M.O.C. :CI, CS, SS304 / 316, SS 304 L/316L, Alloy 20, Hast alloy B or C,CD4MCU, etc……. Call us at : +91-9913933463. Contact us and we will provide a quick and appropriate response. © Copyright 2019. Sujal Engineering, All Rights Reserved. Designed & Maintained by Wolfable.